How do you fight criminals who aren't human? A ruthless new crime syndicate holds Los Angeles in a grip of terror. Anyone who opposes it suffers a horrible death... but not at human hands. Bizarre accidents, sudden illnesses, inexplicable and gruesome deaths: the mobsters will stop at nothing to eliminate their enemies. 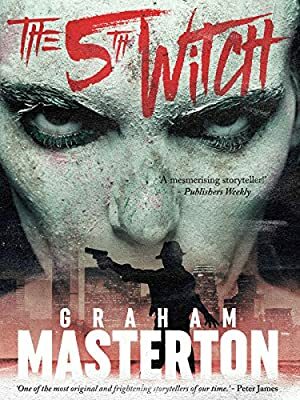 Every bloody step of the way, their companions are four mysterious women, witches who wield more power than the gangsters could ever dream of. With the help of his mysteriously gifted neighbour, Annie Conjure, Detective Dan Fisher must fight both the LAPD's scepticism and this chilling new power. And at the heart of the nightmare lies the final puzzle, the secret of... The 5th Witch. For readers of Angela Clarke, Peter James and Stephen King, this gripping novel from the legendary Graham Masterton will leave you reeling. We started tracking this book on February 22, 2016. The price of this book has changed 16 times in the past 1,158 days. The current price of this book is £2.99 last checked 2 hours ago. The lowest price to date was £0.98 last reached on September 15, 2016. The highest price to date was £3.99 last reached on February 22, 2016. We last verified the price of this book about 2 hours ago. At that time, the price was £2.99. This price is subject to change. The price displayed on the Amazon.co.uk website at the time of purchase is the price you will pay for this book. Please confirm the price before making any purchases.